UPDATED — WASHINGTON (CNS) — In the nearly one week since the Department of Health and Human Services issued a new set of proposed rules on insurance coverage of contraceptives, serious concerns over the new rules began to emerge among the Catholic community in the United States, including the U.S. Conference of Catholic Bishops and some Catholic organizations. The 80-page document released Feb. 1 by HHS attempts to address objections that the previous rules would force religious employers to stop providing employee health insurance because the federal requirement to include contraceptive coverage violates their religious beliefs. The issue has become known as the HHS mandate. 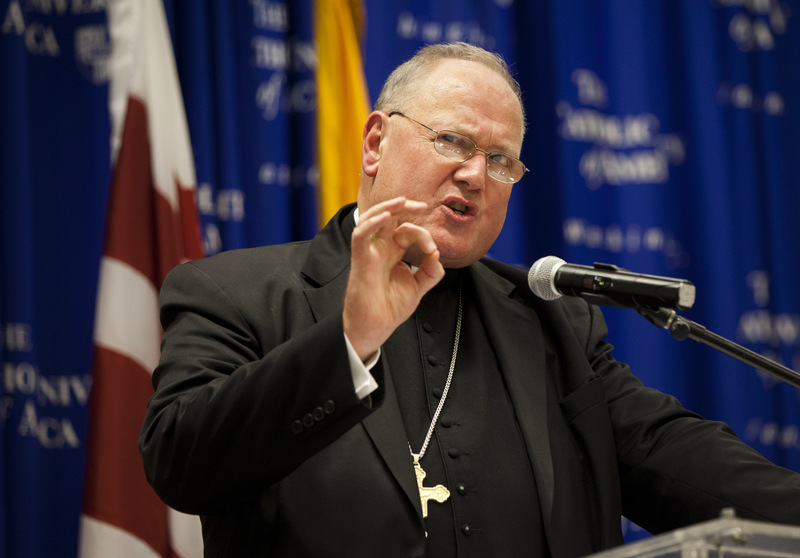 Cardinal Timothy Dolan, president of the USCCB, said in a statement Feb. 7 that over the past year the bishops had been assured by the Obama administration that church organizations “will not have to refer, pay for, or negotiate for the mandated coverage. We remain eager for the administration to fulfill that pledge and to find acceptable solutions — we will affirm any genuine progress that is made, and we will redouble our efforts to overcome obstacles or setbacks,” said the cardinal. 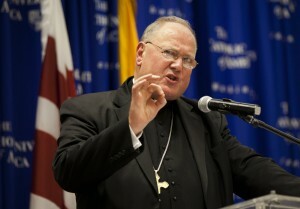 Cardinal Dolan listed three key areas of concern: the narrow understanding of a religious ministry; compelling church ministries to fund and facilitate services such as contraceptives, including abortion-inducing drugs, and sterilization that violate Catholic teaching; and disregard of the conscience rights of for-profit business owners. A committee of bishops pointed out these concerns in a March 2012 statement. Cardinal Dolan also said the proposal refuses to acknowledge conscience rights of business owners who operate their businesses according to their faith and moral values. Some entities were quick to issue opinions on the rules, which are open for a 60-day comment period. The rules are expected to be finalized this summer. Critics of the proposed rules included the Becket Fund, a nonprofit, public interest law firm that represents several nonprofit and for-profit organizations in their lawsuits against the federal government, which challenge the requirement of the Affordable Care Act. Hobby Lobby is a craft retailer owned by a Christian family. The owners object to being required to provide insurance that covers drugs that some consider to be abortifacients. The company has sued over the requirement. Its request for an injunction to protect it from providing the coverage while the legal challenge works through the courts was rejected Dec. 26 by Supreme Court Justice Sonia Sotomayor, who covers the federal court circuit handling the case. “The White House has made no concessions to the religious conscience claims of private businesses, and the whole spirit of the ‘compromise’ is minimalist,” he said. “One of the issues America’s bishops now face is how best to respond to an HHS mandate that remains unnecessary, coercive and gravely flawed. In the weeks ahead the bishops of our country, myself included, will need both prudence and courage — the kind of courage that gives prudence spine and results in right action, whatever the cost,” Archbishop Chaput said. The Becket Fund also represents the Eternal Word Television Network and several religiously run institutions of higher education including Ave Maria University, Belmont Abbey College, Colorado Christian University, East Texas Baptist University, Houston Baptist University and Wheaton College. The new proposals specifically said no nonprofit religious institution — including churches, universities, hospitals and charities — will have to “arrange, contract, pay for or refer for” contraception insurance for employees or students who want it. Others said the new rules seem to accommodate the problems that led Catholic dioceses, universities and other organizations to sue over the previous proposed rules. The revised rules say that employees of institutions that have been exempted from providing contraceptive coverage may receive coverage under separate policies provided by insurance companies. The rules say employers would have no role in paying for or administering the policies.